There’s always room for a watch that simply does what it’s supposed to do and Seiko are one manufacturer that have managed this very well. I refer to the incredibly successful Seiko 5 series of mechanical automatic watches. 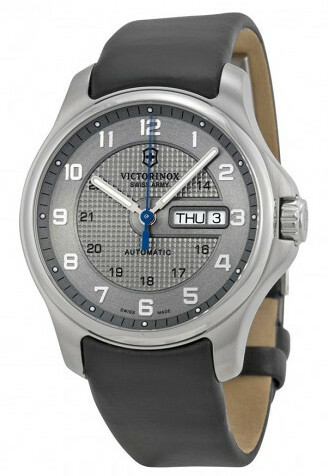 Not the quartz models they make by the truck load, but the mechanical, tough as old boots, never need a battery models that those in the know buy and collect. I recently bought one for my collection, hence this brief introduction post. 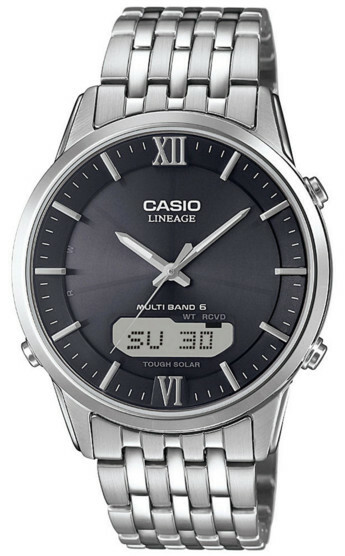 The model name “5” refers to the 5 features that Seiko wanted to highlight in this particular and large range. Or rather this is one of the most accepted explanations for the title. An “unbreakable” mainspring (Diaflex) and an antishock system to rival Incabloc (Diashock). 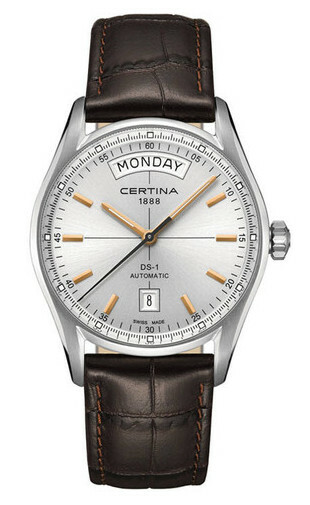 It also had to be a mechanical auto-winding movement, have a day and date function and have a have decent Water Resistance. The movement is usually from the Singapore made 7s26 or 7s36 series and these are pretty much stalwarts in the Seiko range. Dependable, rugged and with acceptable and adjustable accuracy over the long term. Non hacking, non-hand winding, unidirectional, 21 jewel auto beating @12,600bph, it’s one of those movements that seem to go on forever, regardless of whether serviced or not, looked after well or stuck in a drawer for years. Take it out – move it a bit and it’s off and running! 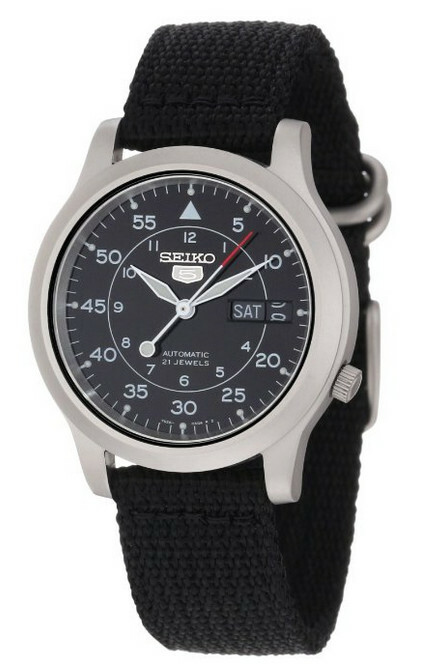 The only downside with the Seiko 5 series is that there are literally hundreds of fakes out there purporting to be genuine and increasingly difficult to spot, so extreme care should be taken if looking for one today. On the good side as with fakes generally there are often, but not always, tell-tale signs that show us that all is not as it seems. 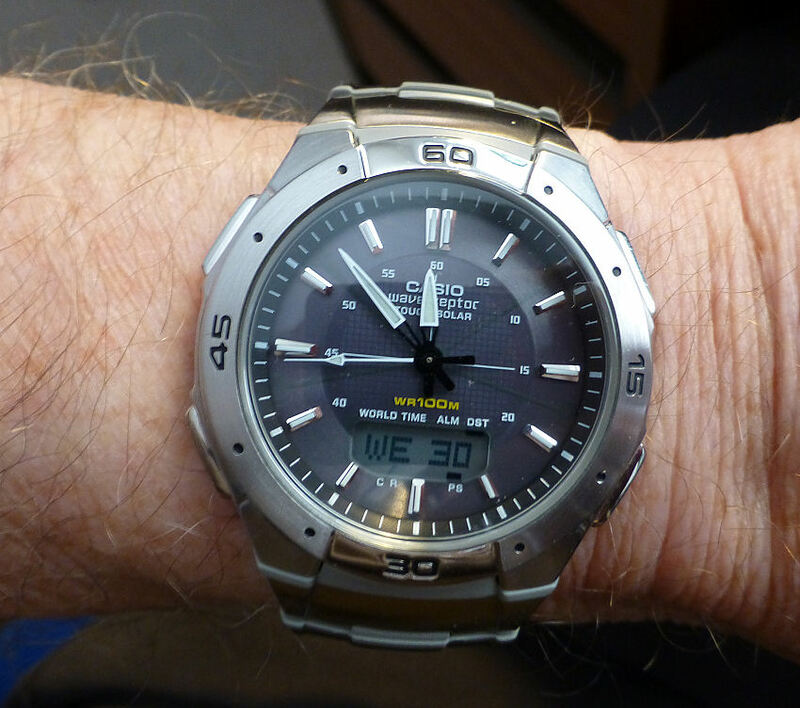 One of the main tell tales on the Seiko 5 is in reference to the date window etc. 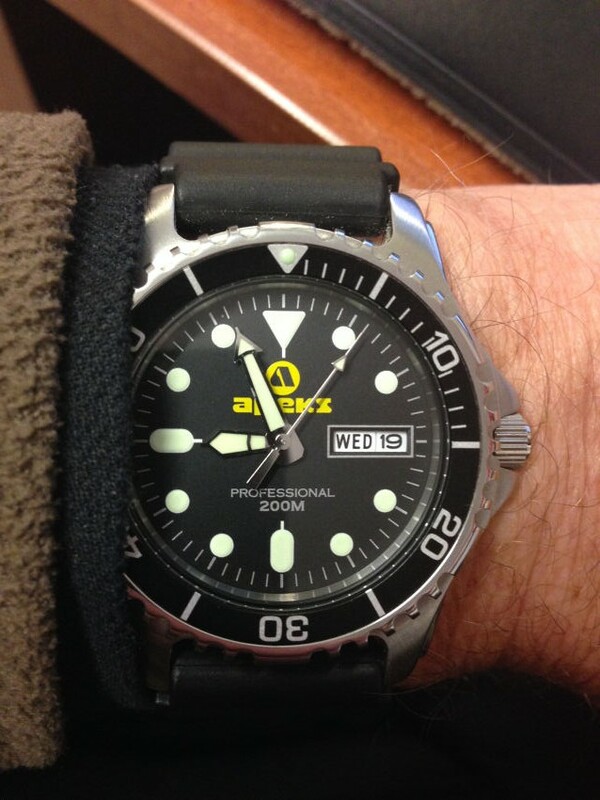 For example since 1990 Seiko have used plastic day and date wheels and very often fakes have metal ones. 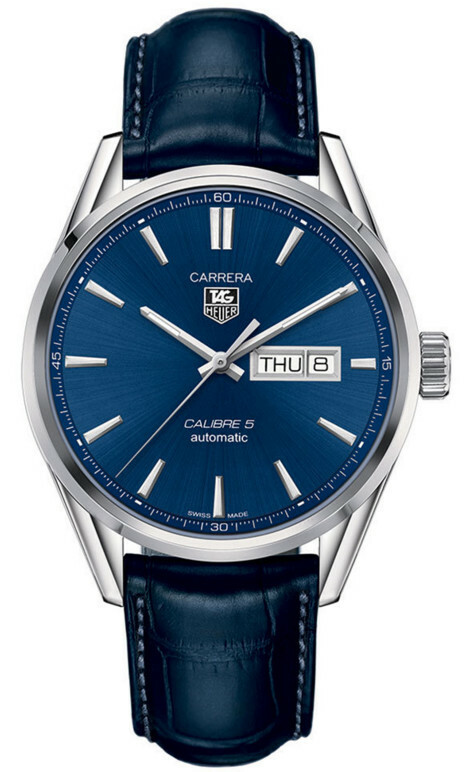 Since the the last metal day/date wheels on Seiko were on much older models, such as the 7006 or 9 series, you’re looking at 25 or 30 years ago for those. There will be other signs of faking, but to go into all that would I suspect take a pretty large article and unfortunately still not cover all the possibilities. 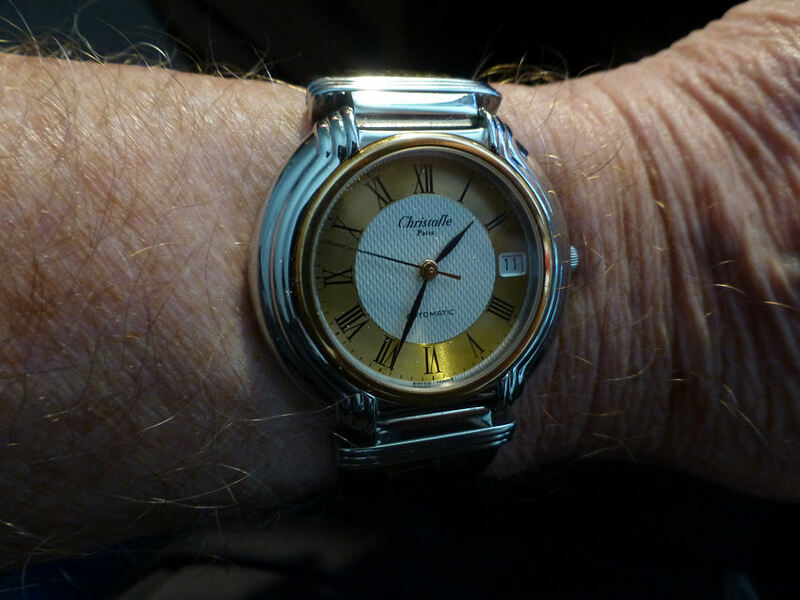 Suffice to say if looking for a Seiko 5 – it is very much a case of “buyer beware” – which is a real shame as these are really excellent and reasonable cost watches and great for wearing and collecting. Fake information sheets are available if you Google for them ( the reference for the above “tells” seems to have gone) I am sure there are quite a few. An interesting watch Manufacturer Movado and with some styles from the past that have always interested me, this one I recently obtained is such a model – that I couldn’t resist. Without doubt the best dial gents Movado I’ve yet seen, this was a must purchase. 1960’s vintage with a Movado Cal 395 – C Automatic movement. This is their famous Kingmatic Sub Sea model with 28 jewels and running as sweet as it did when new this sort of mechanical marvel never fails to impress me. Over 50 years and still perfect it has a neat 34mm diameter gold 40 micron plated case, center sweep seconds and applied gold numeral markers on 12, 3, 6 and 9. As you see the above image shows an immaculate Cal 395 movement with the classic Movado rotor assembly, Incabloc shock protection in a very neat layout. The Calibre number can be seen clearly at the foot of this image and note the Movado “top Hat” plate atop the rotor. Obscured by the rotor it also states Movado Factories, Swiss and 28 jewels. Lovely action too this rotor and quite silent in operation – this is a class item indeed. Full stainless screw back with Movado logo set. The stainless steel screw back has a full Movado medallion logo set with Kingmatic S and the 4 horse chariot design in the centre. Sub Sea and 28 jewels are the other markings on the back. The crown is the original Movado logo and the lugs are set to fit an 18mm strap, which in this case is a nice quality though non-original Condor stitched leather variety with gold colored buckle which sits it very well. 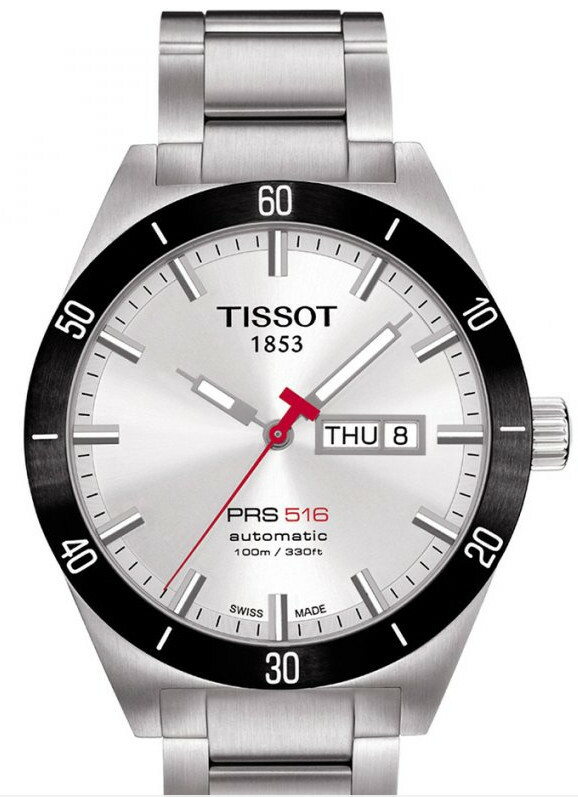 This model like so many of that time is that nice size so favored by many of the classic watch makers @ 34mm which allows it to fit most wrists easily and neatly. 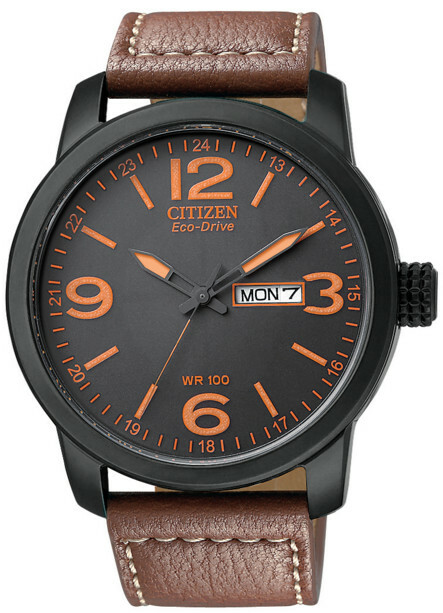 For me every thing about this watch is just right – beautiful face, great look, slim, elegant, perfect size, lovely automatic action and a joy to wear. Looking good at any age. 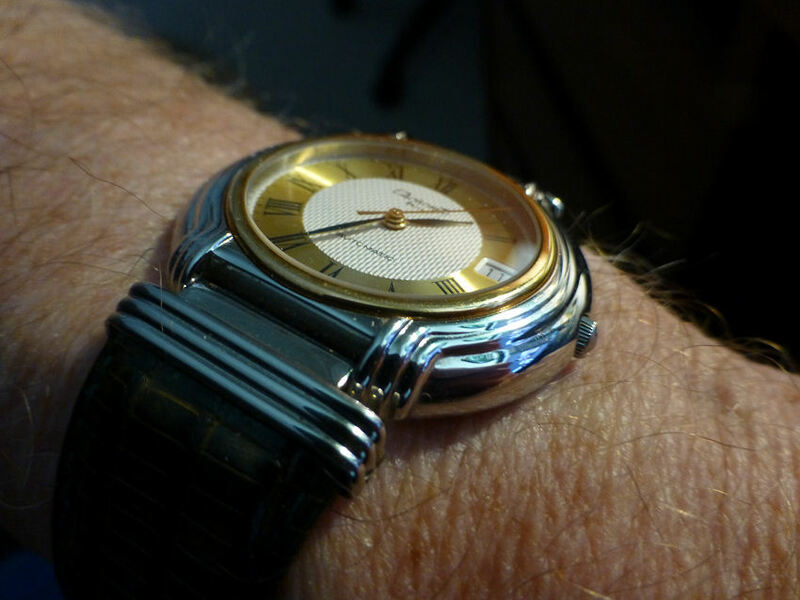 The Kingmatic automatic model (and the Tempomatic before it) took the watch world by storm when it first came out in around 1962 and the Kingmatic was made probably till around 1967. The Company started off life way back in 1881, the name “Movado” meaning “always in motion” in Esperanto the Company has over 100 patents and over 200 awards and still operating today. This is now my third Movado and my second mechanical model – I have also a Quartz and all have impressed me very much. The quartz one also has a highly individual dial face and a certain neat quality – and I can now see where the heritage comes from. This Sub Sea model especially with it’s rather unique face, it’s sleek movement and beautiful condition is my first purchase of 2013 and will certainly be on my wrist on many, many occasions I’m sure – and that surely is as good a testament you can have for any watch.